The ALICE Report is now available! The 2018 report, just released June 26, provides a deep county-by-county analysis of ALICE families across Iowa during calendar years 2014-2016. 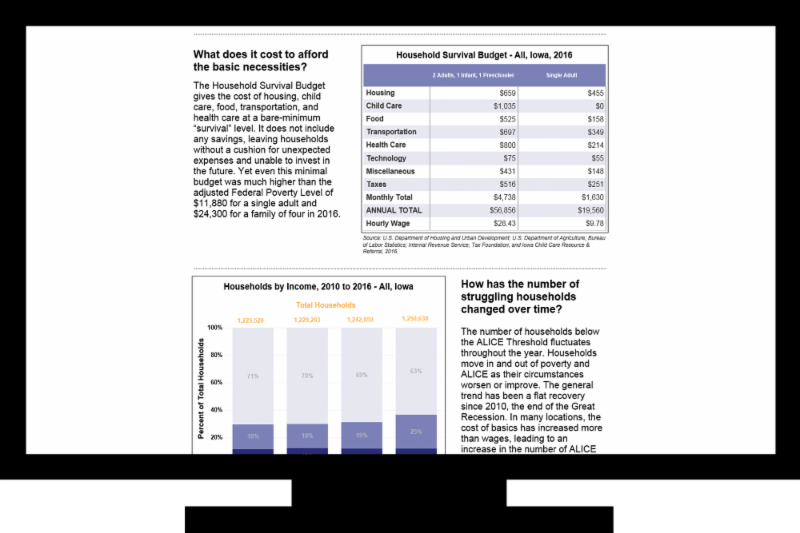 An individual in Iowa needs $19,500 to meet a survival budget. FPL for this individual is $11,800. We invite you to visit our webpage to learn more about this special report and download it for review. If you find the report of interest, you may request an in-person presentation of the data as ICUF well. Join us Thursday, September 20 for Benefit Night. 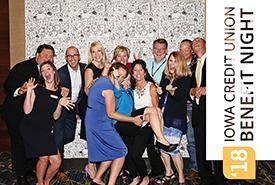 This event is ICUF's premier fundraiser of the year, which supports our mission-driven programs and celebrates the philanthropic achievements of Iowa credit union leaders. You can participate in this event and support ICUF in several ways. Register here to attend the Benefit Night Fundraiser. Donate a silent auction package. Click here to complete the silent auction enrollment form or you can note this on your registration form for the event. Sponsor Benefit Night! Click here to view Benefit Night sponsorship opportunities that support ICUF in championing the people helping people philosophy. Earlier this month, a tornado touched down in parts of Marshalltown, impacting city structures, businesses and homes. Credit union members homes and Lennox Employees Credit Union were impacted by the storm. This week, ICUF staff visited the area and began to assess the needs of credit union members. We stand behind the credit unions and their members in these areas and offer our support to them in their time of need. BankOn Central Iowa is seeking credit union partners with offices in Polk, Dallas, and Warren counties. BankOn helps connect unbanked and underbanked community members in these counties with affordable financial products and services. 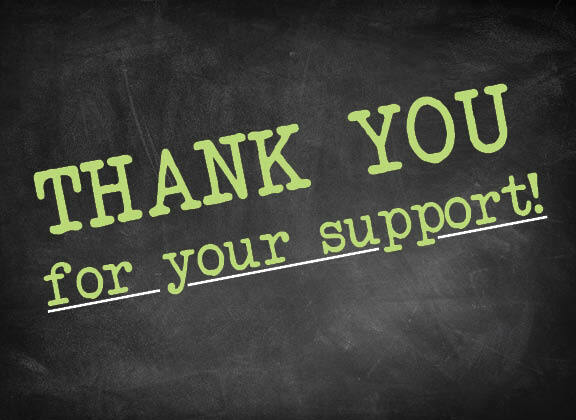 Current credit union partners include: Des Moines Metro, Financial Plus, and Veridian. For more information contact Melissa Nordell-Earp with the City of Des Moines at 515.323.8930 or Traci Stiles with Des Moines Metro Credit Union at 515.283.4195. Become a Certified Community Development Financial Institution (CDFI) through NCUA.The third application period will be September 10 - 28.